Mr. Graff has been an art teacher at GHS for 25 years. He graduated from Ball State University with a Bachelor of Science degree in Visual Arts Education. He currently teaches ceramics, 3D Art, and photography. 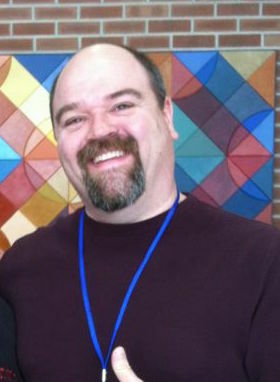 Mr. Graff has been involved with GHS Drama for 16 years as the set director. For the last six years he has also taken on the technical director position. Some of Mr. Graff's favorite past productions have been Pirates of Penzance, Little Shop of Horrors, A Funny Thing Happened On The Way To The Forum, and ​The Music Man. Fun fact: Mr. Graff is also a graduate of Griffith High School.